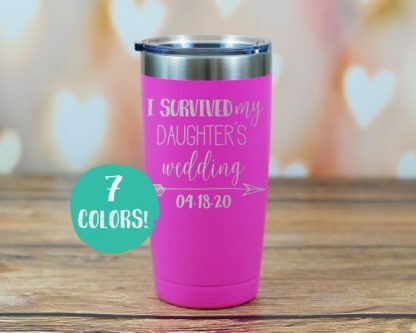 With your wedding coming up, getting gifts for everyone might be stressful, but getting one for the mother of the bride shouldn’t be. This list is here to make it easier on you. 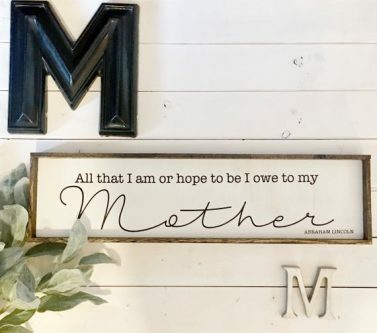 The mother of the bride may not be expecting anything at all, yet you want to get her something extra special, after all, if it weren’t for her, this wouldn’t be happening at all! 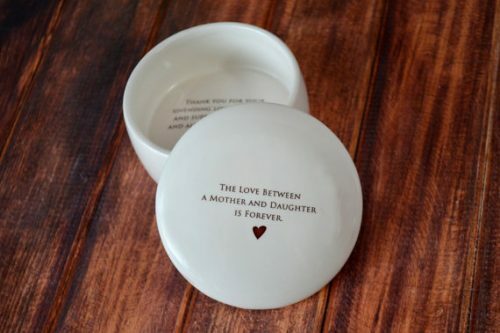 A mother and daughter will love each other forever, and this keepsake box is a great place to keep keepsakes from the wedding or from when you were younger too. 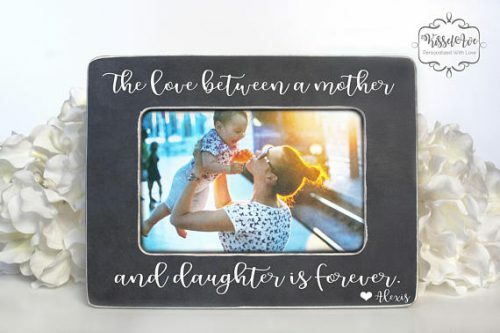 While she may have been your mother first, she has become your friend and that is extra special. 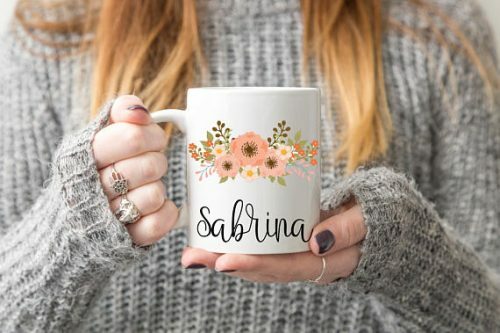 A personalized floral mug is just the touch of personal and beautiful that will make her heart smile, especially if you’re not sure what else to get her or want to get her more than one mother of the bride gift. 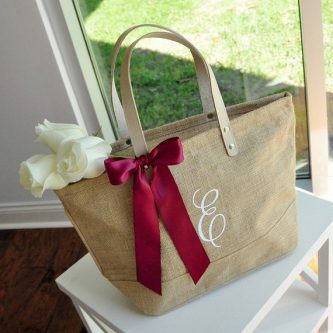 Get her a tote bag with her initial on it, and she will have a bag to carry whatever she needs, wherever she goes. On your wedding day, you are a bride. Then you become a wife. 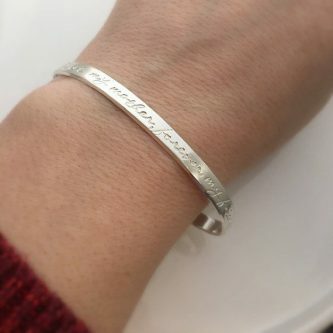 However, you will always be a daughter to your mom. 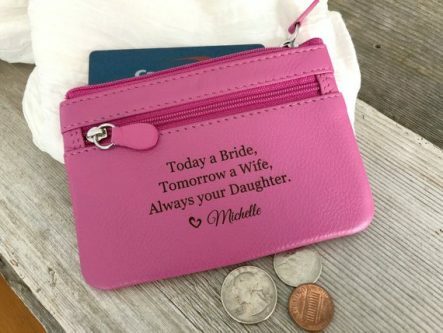 Help her keep this fact close as a reminder with a personalized mini purse. All that you hope to be and all that you are already, is because your mom raised you to be who you are and provided an amazing example. 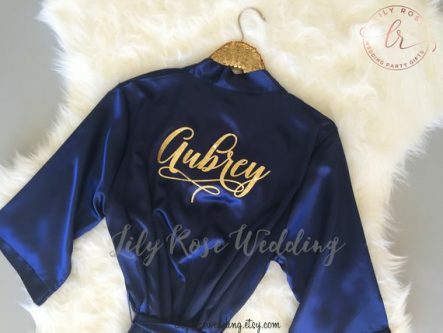 A personalized satin silk robe will help her feel even more luxurious, and make getting ready on the wedding day so much easier. 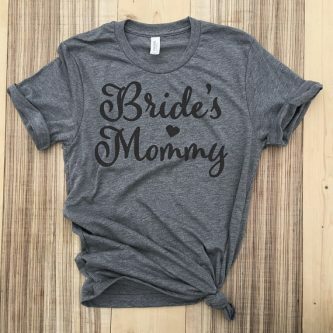 For the groom, this is the perfect gift for his soon-to-be mother-in-law. She will think of him, of the both of you, every time she sets her rings down on the dish. 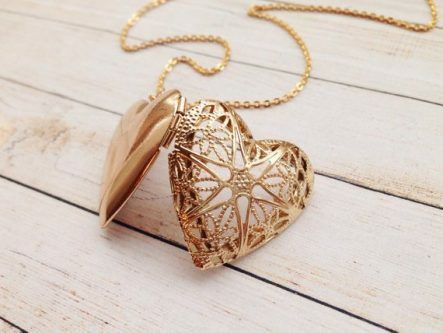 A simple gold heart locket might be the exact thing for you to give to the mother of the bride without stressing too much, and you might even be able to fit a nice little note for her inside the locket too to thank her. 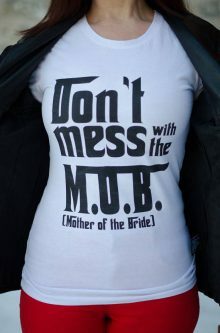 Never ever mess with the MOB. Warn everyone about it so they don’t make a big mistake! 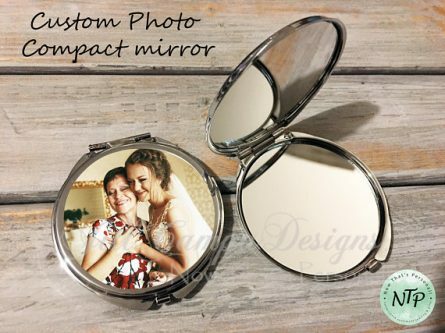 A picture of both of you together on the outside of this custom photo compact mirror will make putting her makeup on on the go easier and more memorable. Place a nice picture of the two of you, or you and your siblings, within the picture frame. She will cherish it and what it means forever! 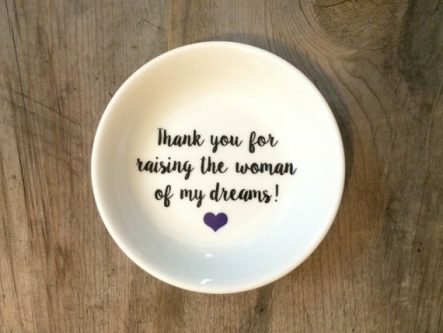 The mother of the bride’s love for her daughter is infinite, it knows no bounds. 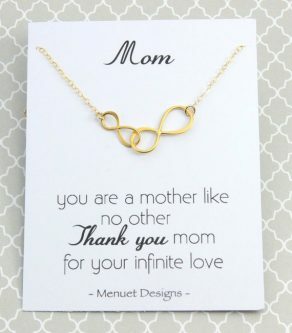 Let her know that you recognize this with a beautiful double infinity interlocking necklace she can wear everyday. She will always be your mommy, for as long as you live. 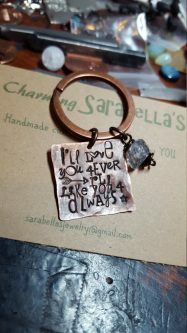 If you two were fans of the I’ll Love You Forever book, by Robert Munsch, she will love receiving this and being reminded that you will love her forever and like you for always. After the mother of the bride survives the wedding, she is going to need to rehydrate. 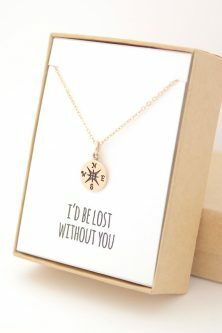 It’s nothing but the truth, you know you would be lost without her. 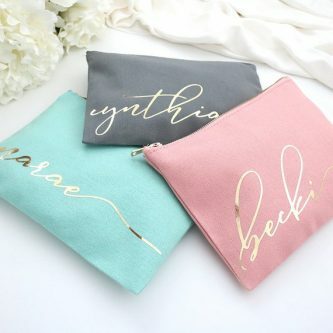 A monogrammed makeup bag is great to keep her makeup together for the day of the wedding and beyond. 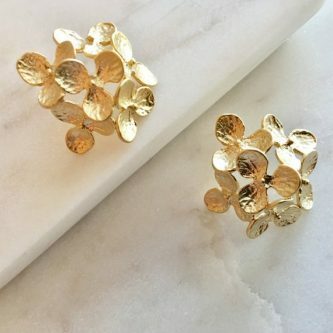 These beautiful gold hydrangea earrings will look beautiful on her ears for the wedding and any other special events. 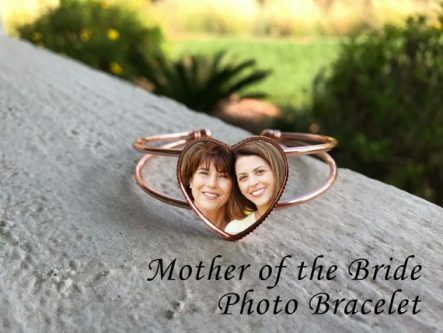 Photos are full of memories, pick the one that means the most to you to put on this heart-shaped photo bracelet, and she can wear and see it every day. 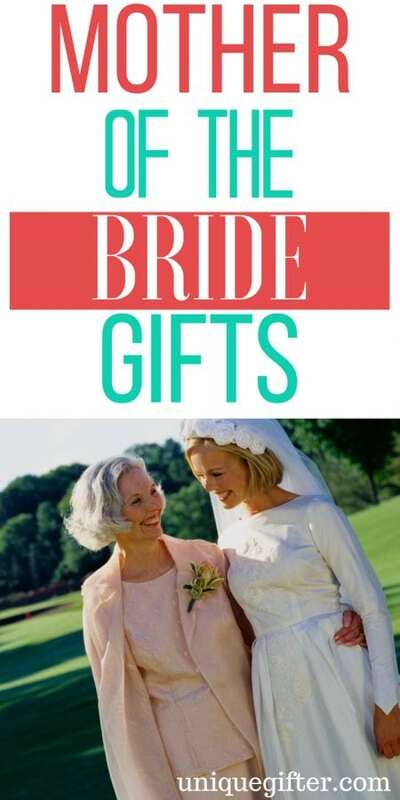 No matter what gift you choose for the mother of the bride, she will love it and hold it dear!